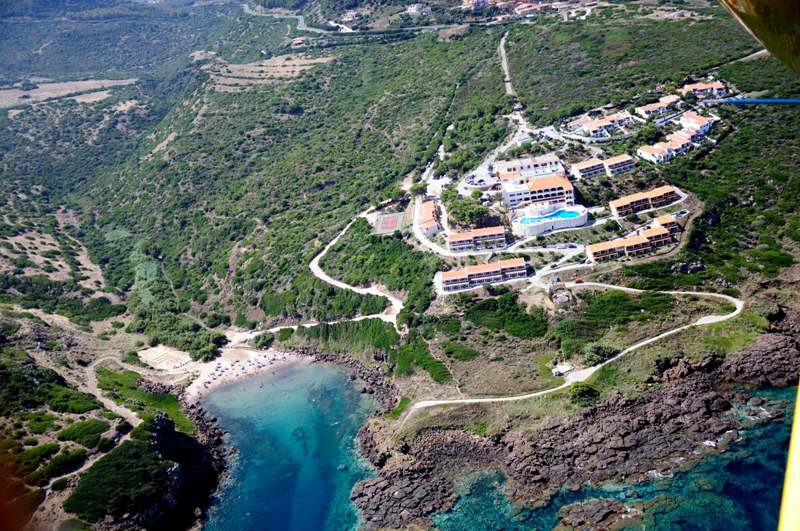 At Castelsardo Resort Village you can find everything you ask for a perfect holiday in Sardinia: on the beautiful beach of Cala Ostina, just 100 meters from the property. Free umbrellas and deck chairs are available. The comfortable bungalows, surrounded by greenery, include air conditioning, mini bar and TV, private balcony or veranda. Stunning sea views and views of Castelsardo. 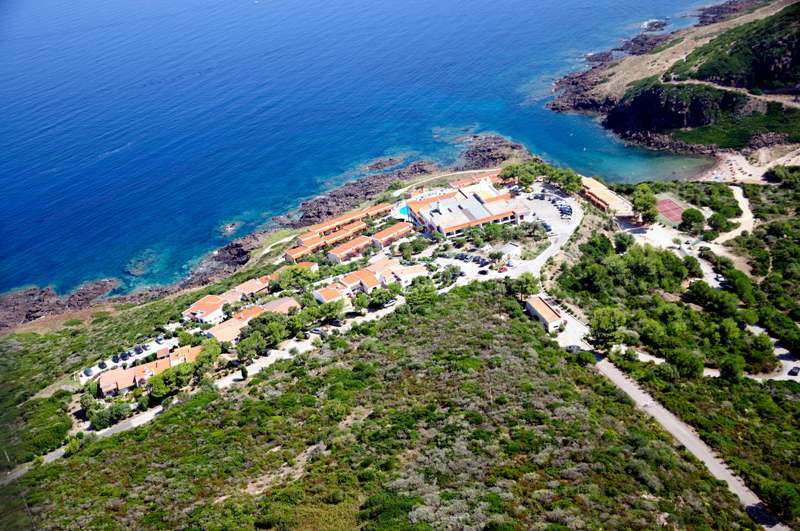 Recently renovated, the Castelsardo Resort Village 4 stars is a structure of 300 beds surrounded by the nature and a few meters from the splendid sea of Sardinia. The restaurant offers an excellent buffet service, with a Continental and Inter-Continental breakfast, and a wide selection of appetizers, main dishes, side dishes, cold dishes, meat and fish for lunch and dinner, including wine and water. There are several recreational opportunities for guests such as games, dances, shows and group lessons of tennis, swimming, gymnastics and aquagym, windsurfing, scuba diving for beginners. The Resort has a diving center with courses at all levels with the issue of international patents. Also the younger guests can have fun together in the mini club. You can join free beginner’s lessons of tennis, fitness, aqua Gym, canoeing, swimming, or participate in various tournaments such as beach volleyball. Special Diving: guests can take free trills and exercises in the pool; In addition, the diving center offers courses at all levels (on payment), with the issue international patents. Opening season: 17 May - 8 October. The Castelsardo Resort Village is located only 2 km from the picturesque medieval town of Castelsardo and overlooks the beautiful bay of Cala Ostina. 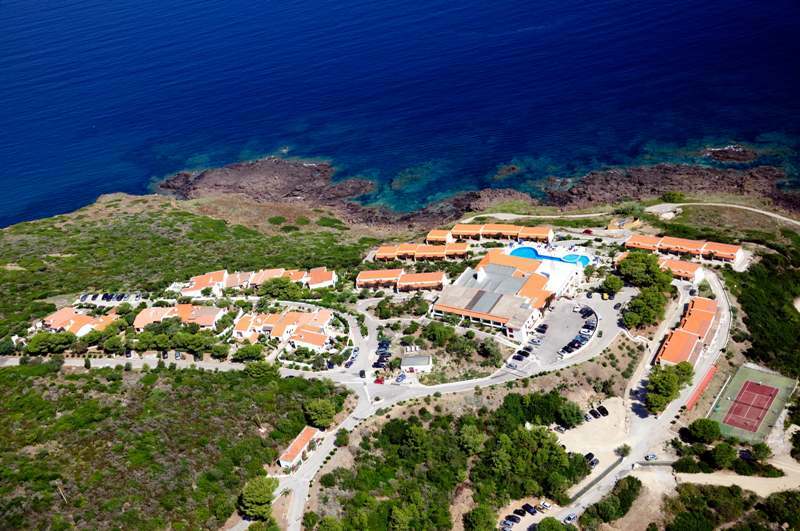 It is easily accessible from the Ports of Porto Torres, Olbia and Golfo Aranci, and from the airports of Alghero and Olbia. Club Card (from 11/06 to 17/09): Adults Euro 4,00 per person per day; Children from 4 to 12 years not completed euro 2,00 per person per day. - Food for celiacs: Half board Euro 8,00; Full board Euro 10,00; preparation of food brought by guests free of charge. - Children from 8 to 12 years not completed: 30% reduction on adult's rate. This property requires minimum stays of 7 nights.